In collaboration with Aloha EOS we have added Register Proxy Info to the EOSToolkit. Voting is an important part of the EOS network. You are voting for the Block Producers who support your vision of what EOS, blockchain, and the Future of the World will look like! Not everyone has the time to dedicate to researching, vetting, tracking every single existing and up-and-coming block producer however, nor does everyone have the time to continually re-vote to maximise their vote weight. This is where the world of Proxies comes into play. When you set a Proxy to represent your accounts you are relying on that Proxy to do all this work for you. Different proxies have different visions of what they want EOS to be, and selected a Proxy that aligns with your personal vision means that this person or organisation will use their combined vote weight to help mold EOS and it’s Block Producers into the network you want to see. The question becomes… how do you find a Proxy who aligns with your personal vision? Aloha EOS have taken the initiative to create a Proxy Research Portal and to create a smart contract that publishes proxy information on the EOS blockchain. We recommend using this Portal as a starting point to discover proxies that align with your vision. The EOSToolkit will also start presenting this on-chain information directly through the toolkit so users can easily select proxies… coming soon! 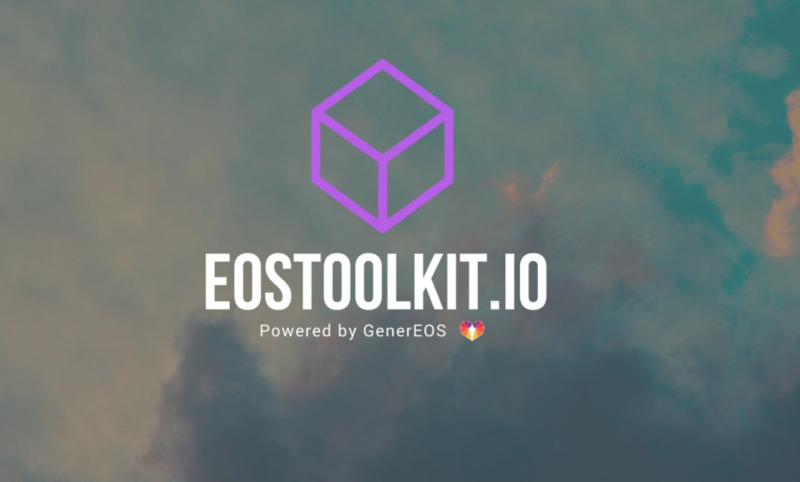 Team GenerEOS loves supporting by the community by leveraging the EOSToolkit for everyone’s benefit. are some of the community projects we try to support through the EOSToolkit to date, and we would love to help with more. 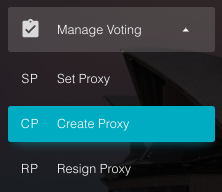 Are you a proxy or want to be one? Register today! Registration has been made exceptionally easy through the EOSToolkit Create Proxy feature. 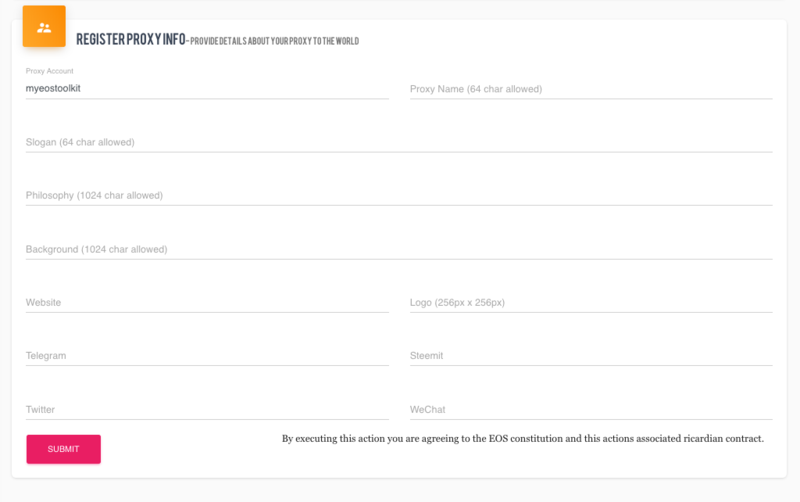 Fill out the Register Proxy Form. Only Proxy Name is required, however the more information the better! 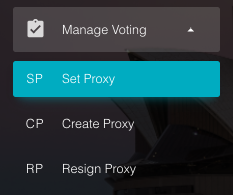 Want to set a Proxy to vote on your behalf? Just use our EOSToolkit Set Proxy feature. 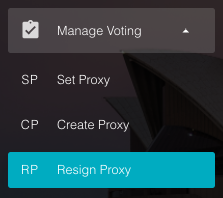 Want to resign as a proxy? Once again, we have made this easy at the EOSToolkit Resign Proxyfeature. Whether it’s voting personally, providing a proxy, or using a proxy, vote for the future – vote for EOS! A deep dive with the BOID project! Tom Fu on GenerEOS Hands Out First Donations! Sugarfix on GenerEOS Hands Out First Donations! admin on EOSToolKit – Revamp + New Features!